NEWS FLASH! We are not the most popular girl in high school. There are some parties where Canadians are not invited. There are some places where it’s not a good idea to show up with a Canadian flag sewn on to your backpack. There are some people who don’t like us because of the things we do and the company we keep. Barely mentioned in the Canadian media, leaders from 32 Latin American and Caribbean nations met in Mexico last Monday and Tuesday to launch a new organization to advance regional economic and political integration. Unlike meetings of the Organization of American States, Cuba was invited to this summit. But, the United States and Canada were not. So, why wasn’t Canada invited? Canadians presume we are popular everywhere. According to surveys, a higher percentage of us think Canada has a good reputation around the world than citizens of any other country. It’s our southern cousins, the Americans, the neighborhood bully, who many in the world don’t like. But, the truth is Ottawa’s relationship to the rest of the Americas is more like Washington’s than Managua’s, Montevideo’s or even Brasilia’s. Canada’s relationship to the hemisphere is defined by support for Washington’s bullying, not as a country bullied by Washington. Canadian corporations have long been major players across Latin America and the Caribbean. Much to the chagrin of Caribbean nationalists, for instance, Canadian corporations dominated banking in the English Caribbean for a hundred years, as well as in Cuba from 1902 to 1940s, in the Dominican Republic from the 1920s to the 1960s and in Haiti during the 1960s and 1970s. During the first half of the 20th century, Toronto-based Brazilian Traction (or Brascan) dominated the Brazilian economy. Possibly the biggest firm in Latin America by the end of the 1950s, Brascan was commonly known as the “the Canadian octopus” since its tentacles reached into so many areas of Brazil’s economy. The company was also notorious for undermining Brazilian business initiatives, spying on its workers and leftist politicians and assisting the 1964 coup against President Joao Goulart. Today, Canadian corporations are among the leading investors throughout the USA’s backyard with $107 billion invested as of 2006. And Canadian mining companies, which dominate the industry from Mexico to Argentina, operate many unpopular projects in the hemisphere. 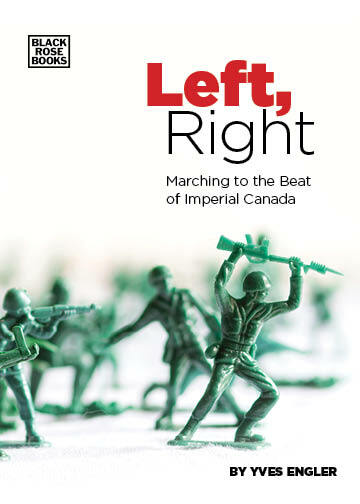 To defend these interests, Ottawa has worked to halt the leftist shift transforming the region. Alongside the U.S. and France, Canada actively participated in the February 2004 coup against populist Haitian president Jean-Bertrand Aristide. When the Honduran military forcibly removed elected president Manuel Zelaya this past summer Canada, along with the U.S., tried to block Zelaya’s return to power. The Harper government opposed Zelaya’s social reforms and his gravitation toward a more united Latin America. Threatened by its moves to break from neoliberalism and Washington-led diplomacy, Canada has supported the U.S. campaign to replace the government of Venezuela. While most Latin American leaders condemned the April 2002 coup against Hugo Chavez, Canadian diplomats were silent. Then, when Chavez won a resounding reelection in December 2006 Ottawa was the only OAS nation to join Washington in opposing a message of congratulations. Seven months later, Prime Minister Stephen Harper toured South America “to show [the region] that Canada functions and that it can be a better model than Venezuela,” in the words of a high-level foreign affairs official. And what does Ottawa want in Latin America? Above all else, a Latin America open to foreign business, particularly to Canadian corporations. And what’s the simplest way to keep the region open to foreign investment? Canada works hand-in-hand with the bully to maintain U.S. dominance over the region. No wonder we were not invited to the party.